This Is the Cure for the Winter Blues: A Hungarian Feast! 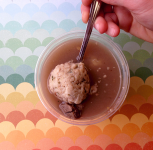 At Zingerman’s, we believe that delicious food and new experiences are the cure for the winter blues. That’s why we’re really excited to announce our Winter Hungarian Feast! 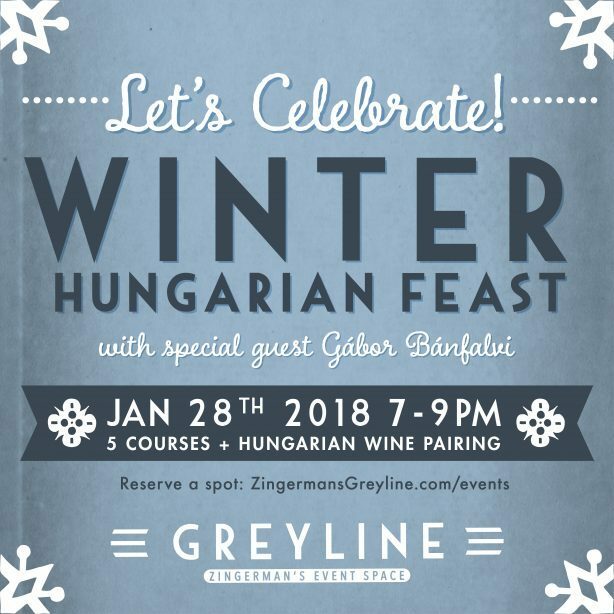 Hosted by Zingerman’s Deli co-owner and head chef Rodger Bowser and our Hungarian friend Gábor Bánfalvi, this multi-course meal scheduled for Sunday, January 28 at the Greyline will honor the traditional Hungarian celebration of disznóvágás, which includes the harvest and preservation of pork. 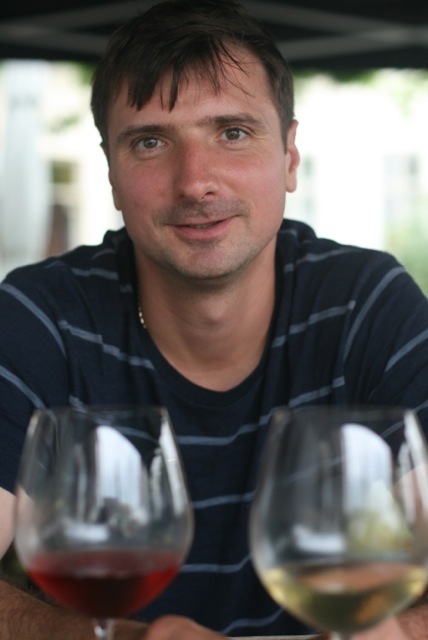 Gábor says that wine plays a big part of the “ritual” as well, and he’ll be helping us complete the experience with Hungarian wine pairings he’s chosen to perfectly complement each dish. “Hungary is one of the oldest European wine-making countries. 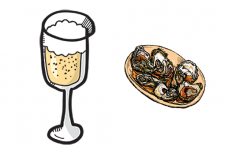 We have a very old wine culture,” Gábor explains, adding that he’s working on a diverse selection that will include crisp sparkling wines, medium-bodied reds, and maybe even an aromatic wine to go with desserts. And desserts will be pretty special, too. 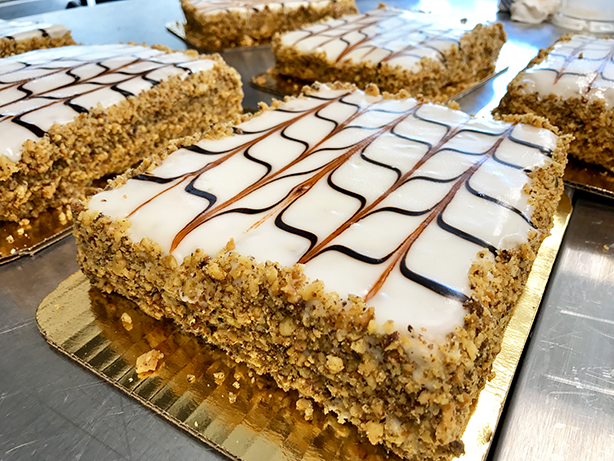 Made by our own Amy Emberling of Zingerman’s Bakehouse, the sweetest portion of the night will be a selection of Hungarian specialties: esterházy torta, rigó Jancsi, and dobos torta, which have received the seal of approval from Gábor. 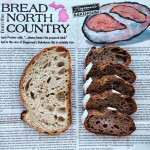 Here’s what Amy had to say about the erházy torta in the new Zingerman’s Bakehouse book: “This classic Hungarian torta is pure elegance—petite and beautiful to look at, refined and balanced in flavor, with a perfect level of sweetness….” We think it will be the perfect ending to this ultimate winter feast! Our Winter Hungarian Feast takes place Sunday, January 28, at the Greyline from 7:00 – 9:00 pm. Cost is $80 per person and includes multi-course dinner and wine pairings. Would you like to attend? Check out the full menu and reserve your spot here today. Rodger is making extra batches of double-smoked Hungarian bacon and sausages from the Mangalica breed to offer those who wish to extend the flavor into the winter. Limited supply. Spend some more time with Gábor! He’ll be our special guest host at BAKE! for A Taste of Hungary. 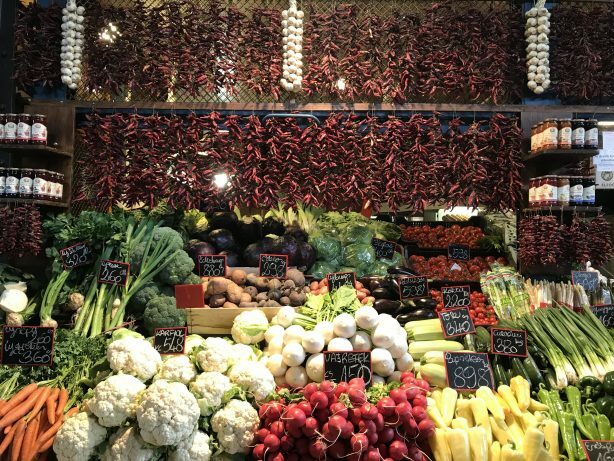 At this presentation and demonstration, Gábor will share his stories from his travels around Hungary while we demo Palóc Leves soup, Pogácsa, and Poppy Seed Rétes for dessert. Sign up here!